In my experience, I’ve found that starting with optimizing medications (when necessary), getting on the right type of diet and supporting nutrient deficiencies and the adrenals can turn a person around within a course of one to three months. To get more help on optimizing your thyroid meds, download my free eBook! Here is some information on nutrient depletions: selenium; nutrient extraction; iron; B12; zinc; or download my entire book chapter on Nutrient Depletions. My second layer on interventions targets the gut—if a person has not gotten better on a nutrient-dense diet low in reactive foods (like the gluten-free/soy-free/dairy-free diet, Paleo or autoimmune Paleo diet) within three months, or has hit a plateau in healing, an infection (often in the gut or the beginning of the gut, i.e. the mouth) can often be a culprit. Often, treating a gut infection like H. pylori can bring about additional symptom resolution and sometimes even remission. I have been reading your book and decided to tackle any infections in my body…through this investigation I found I had H. pylori and 2 tooth infections. I have taken care of these infections to the best of my knowledge…a few weeks later my hair-loss is at an all time low!! Yessss…and with the addition of T3 my hair texture feels better too. I wouldn’t have known to look into this so thank you! On I go to the next step of healing my gut now! Dr. Izabella, I think you are on the right track…..I have had Hashimoto’s for 20 years….recently found out I had H. pylori. I have done the antibiotic treatment and my TPO just came back 17! I think the antagonist has been killed off!!! Haven’t felt this good in 20 years! If a person has the nutrition and the gut pieces handled but has again hit a plateau in healing, it’s time to address toxins and hormones. While layer one and layer two interventions will help to support the body in eliminating toxins and normalizing hormonal imbalances, sometimes we need to dig deeper. I always recommend starting with supporting the detox pathways; this can work well to help your body process toxins (and excess hormones). The liver, gut, and skin are our most important detox organs and may need support if you’ve had Hashimoto’s for some time. Support your liver with plenty of green vegetables, green juices, fiber, and supplements like Amino-D-Tox, NAC, and Homocysteine Factors (especially if you have the MTHFR gene variation). Optimize your gut function. You should not be experiencing constipation or diarrhea. You stools should be consistently well formed, and you should have bowel movements at least every other day. Make sure that you are clear of infections like H. pylori, SIBO and/or parasites that could create a backlog in your toxin processing. One of the symptoms of hypothyroidism that people hardly ever complain about is a lack of sweating or reduced sweating. Unfortunately, when we don’t sweat enough, we lose the benefit of getting rid of toxins through our sweat. You should try to sweat on a daily basis. Some of my favorite strategies include hot yoga, detox baths (add one cup of Epson Salts to your tub), and sauna therapy. You can find more detailed info on how to support your detox pathways in my book, Hashimoto’s: The Root Cause. Many times, just doing the steps listed above will help your body process all of the toxins you have over time, however, some people may need more aggressive interventions, like heavy metal chelation. Please note: people who attempt chelation without having all of their ducks in a row can actually make themselves feel worse (see items 1, 2, and 3 above), as chelation will pull out the heavy metals hiding deep in the body, and if the person is not detoxing correctly (due to a liver backlog, gut dysfunction and/or a lack of sweating), the heavy metals will just find a new home within the body. I had the pleasure of interviewing Dr. Tami Meraglia about her work with people with Hashimoto’s and hormonal imbalances. Dr. Tami and I met at a health conference, and we talked a great deal about how to get people with Hashimoto’s into remission. Dr. Tami is a specialist in optimizing hormones and has had a great deal of success with helping people with Hashimoto’s in her clinic. You can watch my interview with Dr. Tami as we discuss the role of heavy metal chelation in Hashimoto’s, how to test for heavy metals, adrenals, hormonal imbalances, and Dr. Tami’s favorite healing diet! P.S. Be sure to subscribe to my email list to get the Nutrient Depletions and Digestion chapter of my book (for free), recipes, a Thyroid Diet Starter Guide, and notifications about upcoming events and new research. Hi! Great article and interview, Dr. Wentz! i could really relate. For the past several years I have been dealing with hormonal issues and finally found out that I have high levels of mercury (doing chelation) and I have Hashimoto’s. The good news is that the nodual found on the thyroid ultrasound is going away! I also have leaky gut and candida issues, and I’m working with a naturopath to get things in balance. I’m also taking a low dose of WP Thyroid. My question for you is that even though I’m on all the supplements one is supposed to be with Hashimoto’s and I follow the Paleo diet, I still get increased hair loss about a week before my menstrual cycles and my doctor isn’t able to tell me why nor have the other previous doctors I’ve seen. I have had extensive tests done and had low estrogen, testosterone and DHEA plus high cortisol. I am on DHEA supplements and adrenal glandular for the high cortisol. I also do meditation and EFT/Tapping to help with the high cortisol. So I feel like I am doing everything I’m supposed to be doing to heal but I have no idea about what causes this hair loss. Obviously it has to do with the change of hormones in my body before my period. When I was on the pill years ago I never had this problem. If you could give me any insight as to the cause of the increased hair loss before my period, or any further testing I should have done, I’d greatly appreciate it. I’ve gone so far as to fly across country to see my current doctor, so I’m desperate to find answers. Thank you! Erica- Hair loss is a distressing symptom experienced by women with Hashimoto’s. For women, our hair represents our femininity, and losing our hair is a constant reminder that something is off and that we are not well. Have you read these articles? Erica, how are the adrenal glandular extracts working for high cortisol? I also have high morning and noon cortisol issues. My naturopath said to try the glandular extracts. Victoria- Thank you so much for following this page! Do you have Hashimoto’s or a thyroid condition? I am new to hoshimotos and I feel like I am trying to absorb so much information it’s overwhelming. Thanku for your book “the root cause” and for sharing your interview with dr Tammy. Sometimes you just need to hear things in simplified terms. Tina- I know how overwhelming everything can be. Make sure to take the book slow, take notes, highlight, and establish a baseline when making changes. Thyroid tissue can regenerate, but the rate at which it does is not always predictable. Thus, some are able to stop the autoimmune attack on their thyroid and regain normal thyroid function. Others can reduce the dose of medications, and others will need to stay on the medications indefinitely. I’m currently working on some protocols to help with tissue regeneration. Hello ~ I love your mind. Thanks for your help. I have a question. I’ve been dealing with this for 40 years … i finally found a naturopath … I love her. She had me do a phase I & II detox test and it showed that my GSTMI is ABSENT … my COMT is Homozygous as too is my NAT2 … and there is more that are Heterozygous. What do I do with the ABSENT one … my doctor came straight out and said “I honestly have never seen that before and don’t know what to do with that” ~ Do you have any suggestions? The test was through Genovations. I am anguish with adrenal fatigue about from 4 month. It is a huge problem and I have not any solution, so give me some advice for Adrenal Fatigue Supplements so that I can feel good and relax. Hello all hopefully I can get some help ..I was diagnosed last years November everyday since then I have been trying to fight this awful disease ! I went gluten free first then went full AIP ..I was doing really good I thought then I started taking Nature Thyroid and then started having issues with my stomach and then also developed Intertestinal cyistitis. I recently changed to WP thyroid at 1.5 grains and I still feel terrible. All my vitamin levels are normal just haven’t check my selenium or iodine yet but those are on the list. I was tested for heavy metals and I also have them so j am wondering if that is what is making me tired and some times dizzy ? I have really bad gas on my left side and also in my back sometimes I get t on the right side too. I need some help getting this under control I went and seen a Functional medicine Doc in my area and he pretty much took me for my money and didn’t really help. Please if you have any advice please help . Whay about amalgam fillings? I would assume they can be a pretty big trigger right? What if one has many of them? More then 10. Should they be exchnaged with the composite ones right away? What kind of detox would be best after? Great info and reminders. Thank you so much. A bit confused though, did I understand it correctly that Dr. Meragha is not recommending desiccated Thyroid (“natural”) medication? That is fires up the antibodies? I try hard to follow all the “rules” but can not get the antibodies under control … I do take desiccated thyroid medication …..
Monique – thank you so much for following this page. WHERE are all the recipes you promise in the book (90 day protocol) I already purchased?? You refer to this website but it looks like nothing but hooks for more sales. The book seems so good, I am disappointed in your sales-oriented website. If the 10 recipes mentioned on this website (requiring me to give my email & phone #) are all you have, please publish a more extensive cookbook and I will buy it. PLEASE DO NOT sell my email address or send ANY advertisements. Will a deficiency if iodine cause hair loss? What supplementation do you recommend to bring up Iodine level in blood. What should a normal level be? Also, do antiviral medications like Valtrex cause nutrient depletion’s? Why would cause vitamin D level to suddenly drop? Here are some articles you might find helpful as well. Brownstein was awful to me. He put me on iodine with Graves disease and made me worse then was nasty when I called him one night with my heart pounding out of my chest over 150 beats a minute. Jill – thank you for reaching out and sharing your journey. I am very hesitant in recommending iodine in Hashimoto’s. 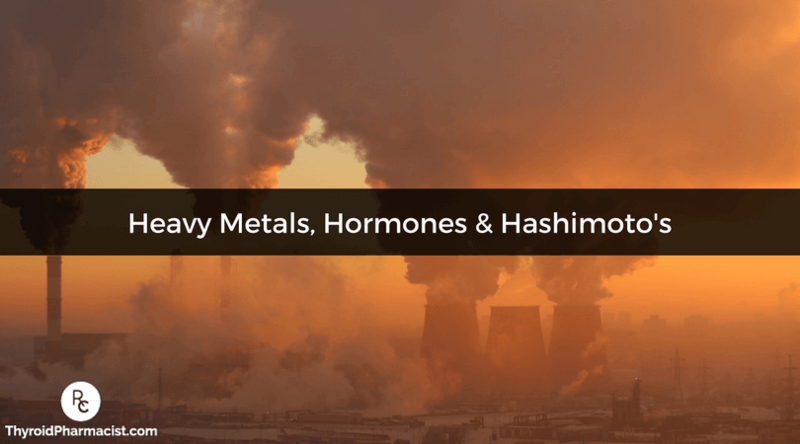 Although iodine serves as fuel for our thyroid and is very important in iodine deficiency hypothyroidism, Hashimoto’s is a different mechanism. It’s like pouring gas into an engine that’s on fire… that’s essentially what’s happening in Hashi’s, thyroid inflammation. Adding iodine to the mix before putting out the fire and fixing the engine may result in further damage to the thyroid. In those with a predisposition to autoimmunity, this has been documented time and time again, in animal and human studies.